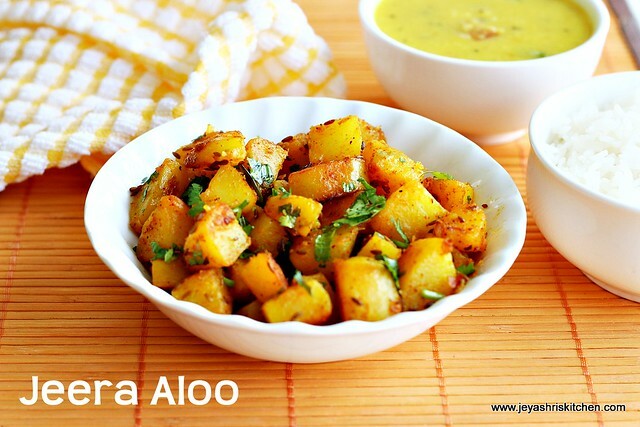 Aloo jeera | Jeera is an easy and simple recipe with potatoes. It can be had with roti and rice too. Even it tastes great with south indian sambar too. This recipe was passed on to me by a punjabi friend of mine. 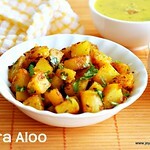 Few more punjabi recipes too she shared ,which i will try soon and post here. We had with dal tadka and plain rice. 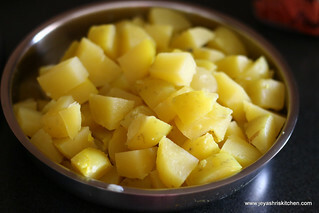 Pressure cook the potatoes and cut them in to cubes. 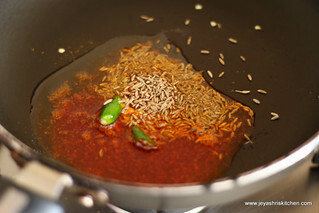 In a pan add and add in the cumin seeds and the slit green chilli and the red chilli powder. Keep the flame low and just saute for 30 seconds. 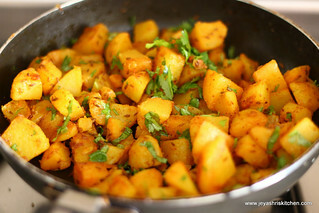 Add the cubed potatoes. 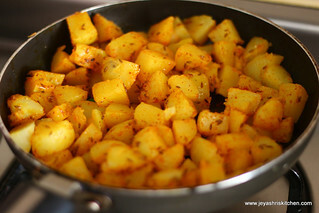 Carefully mix this evenly so that the potatoes will get coated evenly. Cook this in a low flame till the potatoes get roasted . 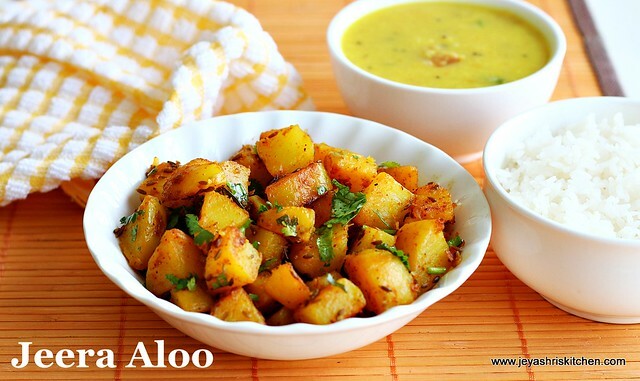 Add finely chopped coriander leaves and mix them carefully. If adding garam masala add it now and mix well too. 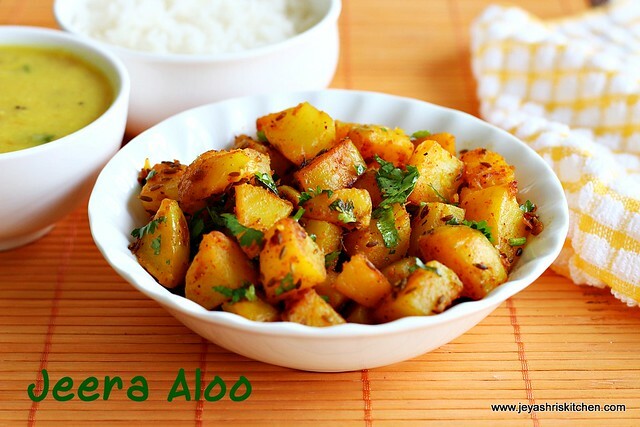 You can add 1/4 tsp of jeera powder and coriander powder too while adding the red chilli powder. While adding powders be careful not to get this burnt. 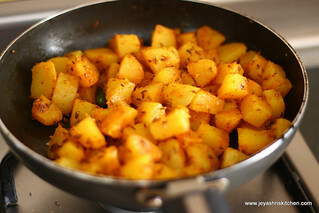 Adding masala in oil will enhance the flavour of the curry. Yummy with both rice and roti! 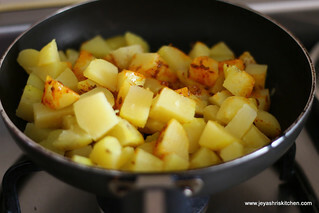 How to cook potatoes without smashing them ?